I never considered myself a very confident person. As a life-long perfectionist, the idea that I could eventually be good enough to be confident just seemed beyond me. This state of affairs didn’t make me happy—quite the opposite, in fact—but there it was. In reality, there were plenty of areas where I showed up with confidence, either professionally or personally, but I still didn’t feel that the confident label applied to me. A few years into becoming a parent, I suddenly felt the need to take a stand. It was becoming clear that my daughter—very much made from the same mold as me in terms of character—was quickly following in my less-than-confident footsteps. While I knew I’d be doing her a disservice if I tried to fight her battles in her place—something that’s quite opposed to my way of doing things parenting-wise—I figured that I could certainly better equip her, and so I set forth to explore this hazy area of confidence. confidence is the ability to ask for what you need. I remember very clearly: I was sitting on the bus, and it hit me like a ton of bricks. My eyes actually welled up and I had to take a minute to breathe deeply, in order to regain my composure. You mean that confidence wasn’t having all the answers and never needing anyone’s help?!? Why didn’t anyone tell me?!? That episode on the bus was a watershed moment for me, and I resolved to do things differently, so I could embody a new example to my family. Of course, for an introverted loner, this was easier said than done! I chose to look at it in the angle of practice, rather than seeing this whole “learning to ask for help”—truly any perfectionist’s bane—as a daunting, overwhelming task. Practice doesn’t mean doing things perfectly, and struggling is an intrinsic part of the process. That’s actually the whole point: the focus is on the process, not the outcome, and only thus we get to integrate its lessons. When we’ve spend our entire life believing that confidence is the ability to systematically go it alone, changing our viewpoint really takes some readjustment. 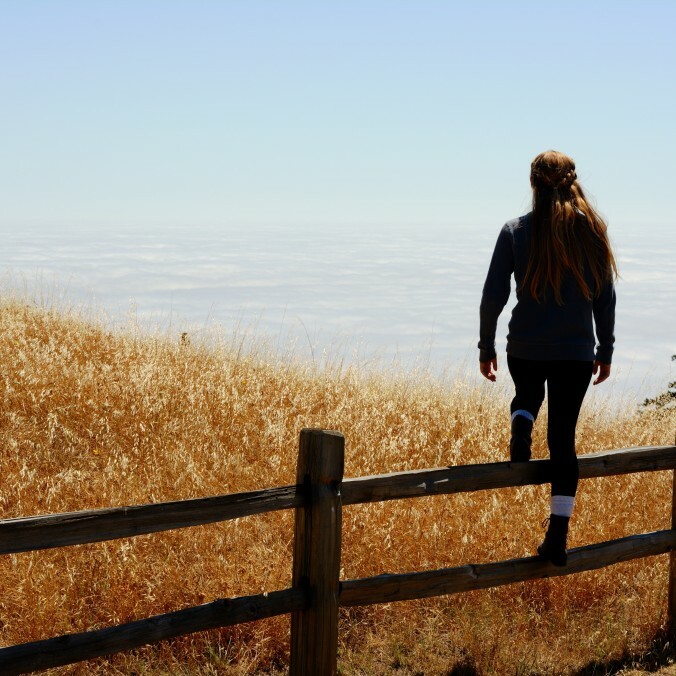 But it also opens up some interesting insight: how many of us have felt truly confident while going it alone, because we felt that turning to others would make us appear weak, and not experienced tremendous loneliness in the process? Learning to take action—which can actually mean just a tiny little first step, whether it’s asking for help or anything else—can be a practice in and of itself. From this, we can choose to build momentum—operating from a what the hell, I’ve already done it once, might as well keep going mindset—or not, and take the time to reassess how we’ve done, felt and learned at each step. Action begets action like authenticity begets authenticity. There’s really not wrong way to do this. Practice is the opposite of perfectionism, remember? At some point, I thought it would be interesting to look at confidence through the Four Stages of Learning lens. For those less familiar with this idea, the principle is straightforward: no matter the skill, it’s impossible to master it right away. We start at the stage of Unconscious Incompetence, where we’re not even aware of what we don’t know. It’s simply not on our radar. Then comes Conscious Incompetence, where we are able to recognize a deficit, as well as the value of what would help us address that deficit. In the Conscious Competence phase, we are able to execute our new skill, although it demands considerable concentration or effort to do so. 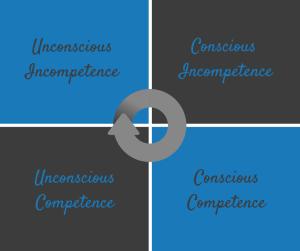 In the last stage, Unconscious Competence, that skill has become—as we often say—second nature, and so little effort—at least mentally—is required in performing it. I’ve found that using this to look at confidence was extremely helpful: confidence no longer becomes something that you inherently have of you don’t, but rather something that can be cultivated. I think we are doing ourselves a disservice by perpetuating the concept of confidence as a very polarized, yes-or-no attribute. Confidence is a spectrum, and one on which there is much possibility of movement on both sides. Are some people born with more confidence? Probably. Does that mean that we can’t do anything about it? Hell no! We can take our confidence into our own hands. So do I consider myself a confident person? Yes. No. It depends on the subject and on the day. But I do consider confidence to be a practice like all others, and with that in mind, all the power rests in me. Interested in getting all of my best stuff, including some insider-only insight? Join my Special Crew here! It’s free and it’s beyond fabulous!